Hello! So glad you could join me today. 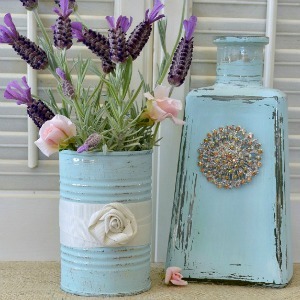 You know I love really simple craft projects and this Glass Bottle & Tin Can Craft fits the bill perfectly. 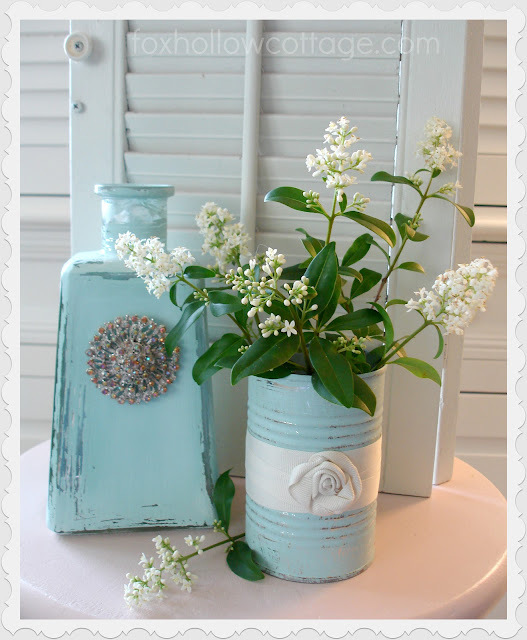 I like that you can use any color paint too… and I feel like there are so many uses, especially for the tin cans. 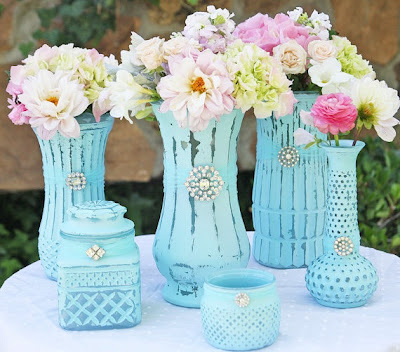 I could see these clustered together as a centerpiece at a baby shower, bridal shower or even a casual wedding. 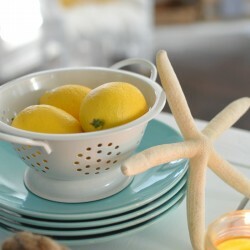 They have a soft, shabby chic feel and I bet they could even work in a bathroom, craft room or office as organizers! 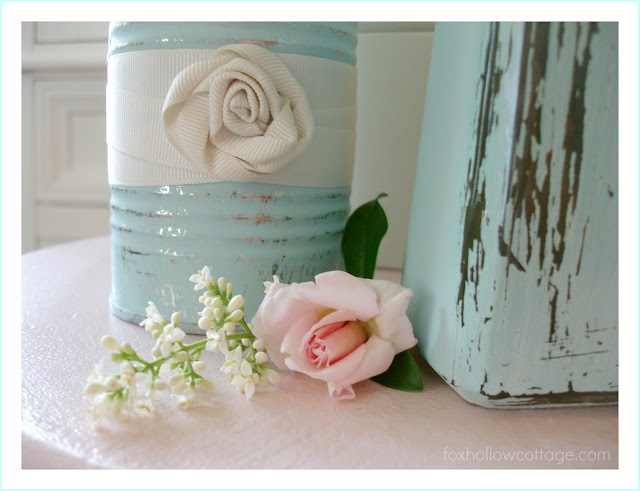 It all started with my hoardy little collection of tin cans. I know you have one too right? (please say yes) It can’t be just me. Anyhow, I have been saving a bag full of tins cans for months now and I knew I needed to get my tail in gear and actually do something with them. My big kick in the pants was seeing this gorgeous photo on Facebook. I really, really liked it and I wanted to try to make something similar for myself. I decided to raid my jewelry drawer of all the sparkly stuff I love, but let’s face it… never wear. Sparkly stuff like this ponytail/pin. That I have never worn. Not one single time. I used my needle nose pliers and yanked that stuff right off! I did a little mixology to get the aqua shade I was lusting after using! Then, I grabbed my trusty Purdy paint brush and slipped some on my can and bottle, then worked on a little something else while they dried. 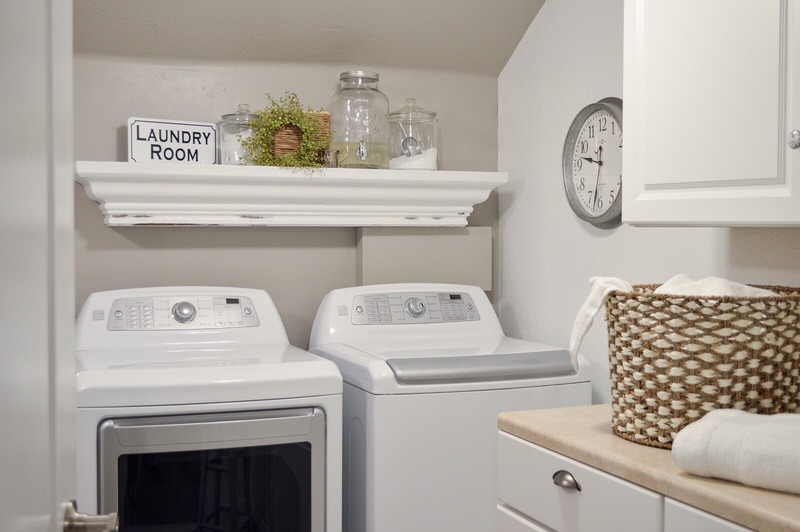 If you don’t have time to wait, you can use a hair dryer to speed up the drying process. 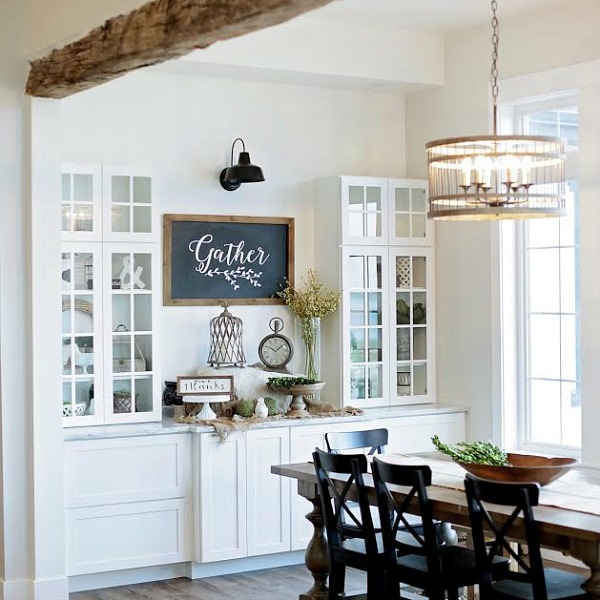 Note: *I’m sure you can use any of the new glass approved craft paints, or even some Maison Blanche paint, as it grabs the glass really well too! When they were good and dry, I used a little steal wool to distress them. I like the silver showing through the paint on the can a lot! I bought this glass bottle last Fall at Good Will. I didn’t even realize it was a tequila bottle until I got home. Then I felt a little funny buying an empty liqueur bottle, but I did like the shape! I never ending up using it for the idea that prompted it’s purchase so it’s been sitting around pretty lonely since then! I think it looks much prettier now. 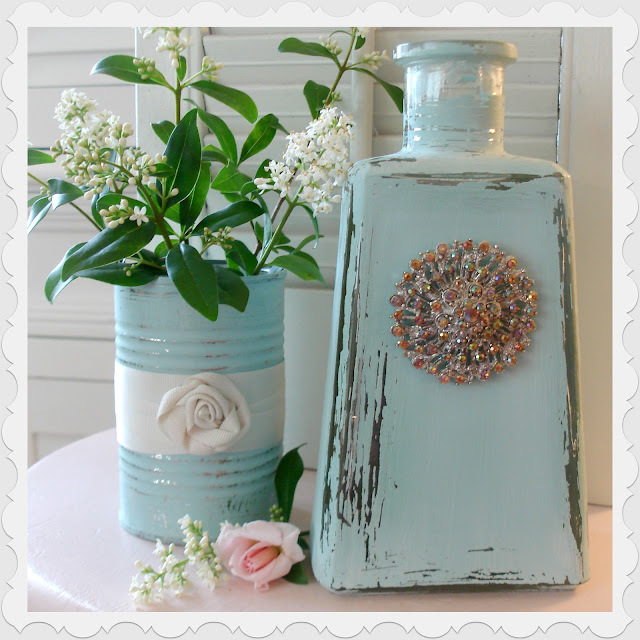 I already enjoy the sparkle lots more on this bottle, then I ever did in my jewelry drawer! A little ribbon scrap was all that I needed for a simple embellishment. 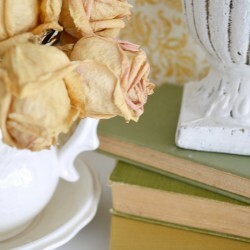 A few twists & turns, a dab of hot glue, and I had a rose for an accent. These tiny pink roses are so fragrant… just the two blooms were enough to perfume the air while I took these photographs. 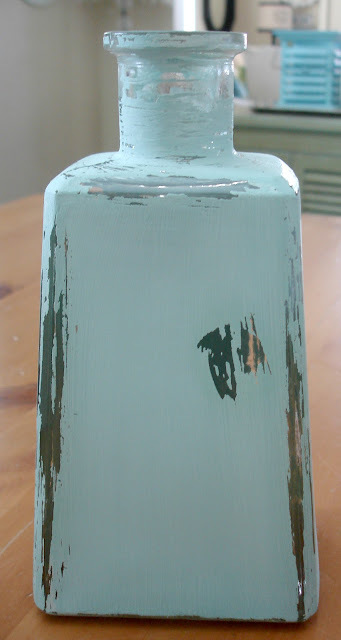 This craft cost me $1.50 for the bottle, one piece of old jewelry, ribbon scrap and a tiny bit of paint. That fits my criteria of “Cheap & Easy” perfectly. This Pineapple Mint is the best smelling stuff ever… plus, the deer do not eat it. I have a few planted, and when the breeze picks it up the backyard smells like heaven! Well, I’ve got one can painted. With about 25 more to go! 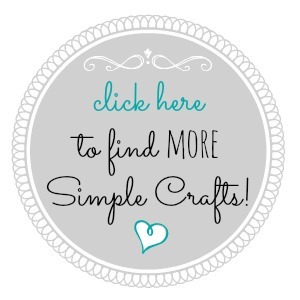 I think I better find another craft to create. 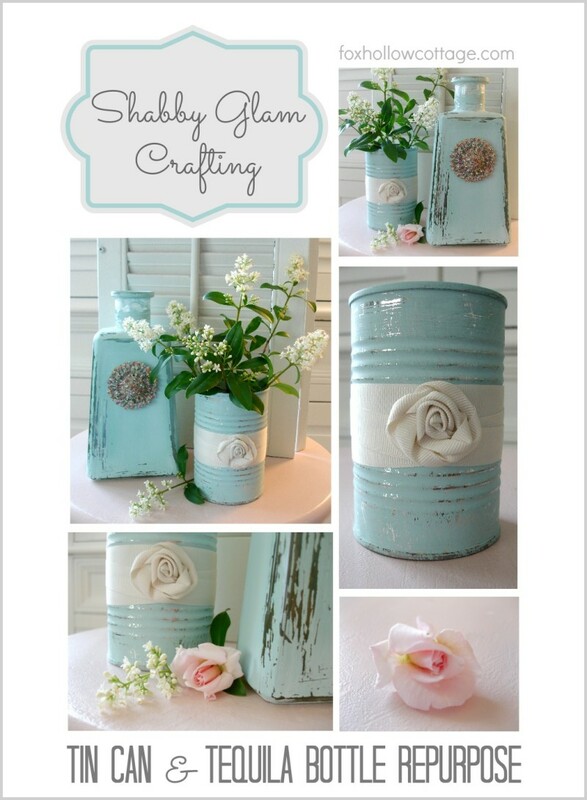 I hope you liked my silly glass bottle and tin can repurpose. Start with clean, dry surfaces. Use a metal file to remove rough edges on tin can(s) if necessary. 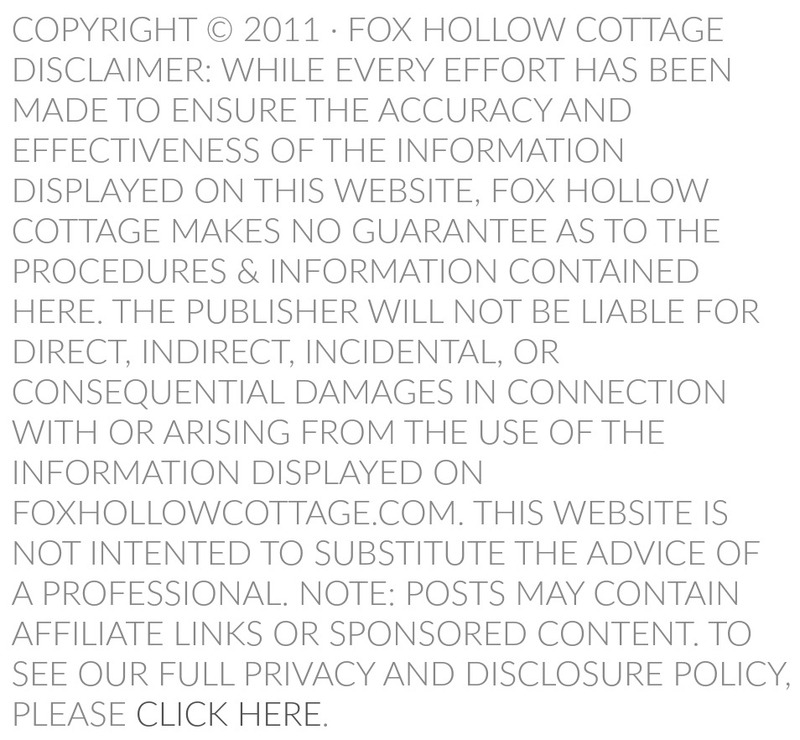 Use as you like & enjoy! 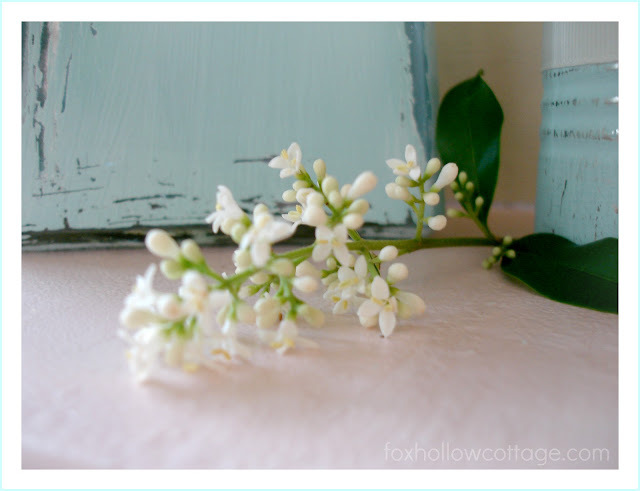 « Summer Wreath Giveaway… We Have a Winner! Looks great! Such a pretty color! What a great idea! Oh! I olive them!!! I want them!!! 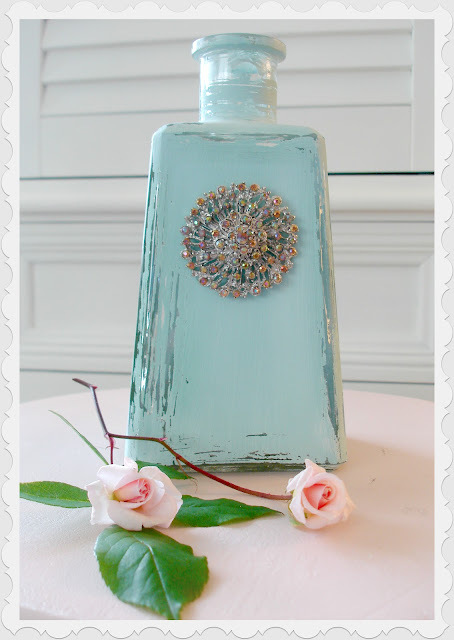 I love the idea of the brooch on a bottle – sweet!! Now I’ve got that PeeWee Herman Tequila song in my head!! Since my summer cocktail of choice is my fabulous margarita – I’ll have to save my tequila bottles so I can be just as blinged out as you! 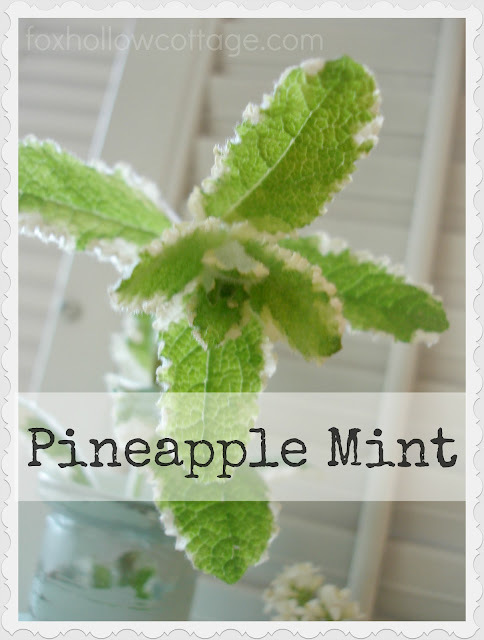 Never heard of pineapple mint – think it would be good in my mojitos? Such a pretty project! 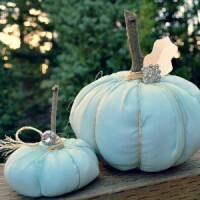 Love the color and the bling! This is a real trash to treasure. 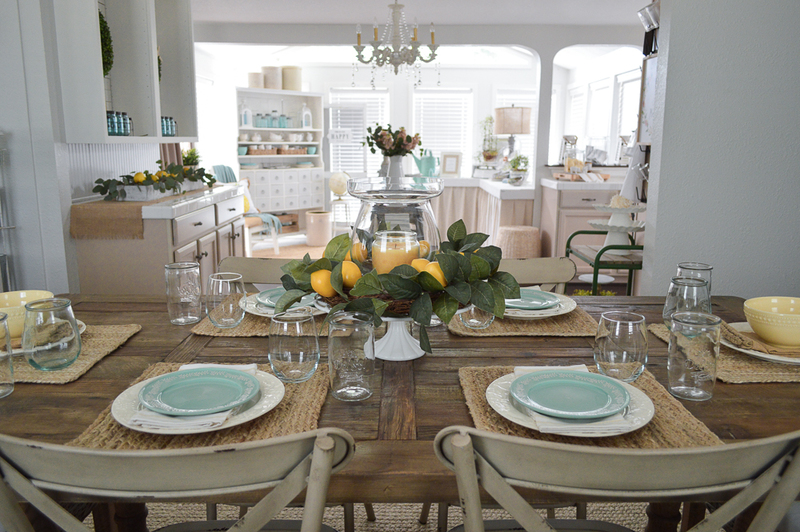 They turned out beautifully, Shannon! I love that blue! 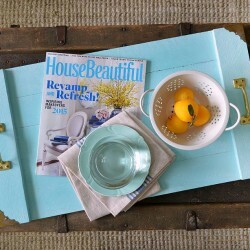 VERY PRETTY LOVE THE PINEAPPLE MINT…….. I meant pineapple mint. It is 7:00 in the morning here…yes up and at em again! 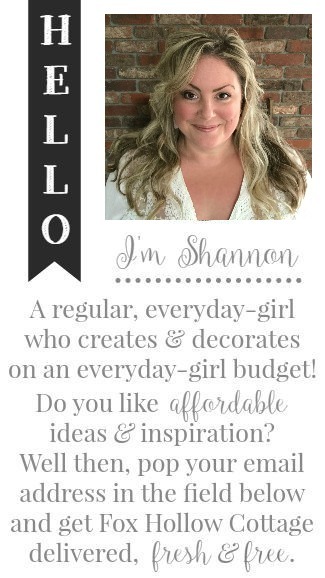 oh Shannon I just LOVE this project! So pretty and so YOU! !~ Pineapple jasmine smells so good. My friend has some in her garden..or is that sage? None the less I can smell it from here. Great project. 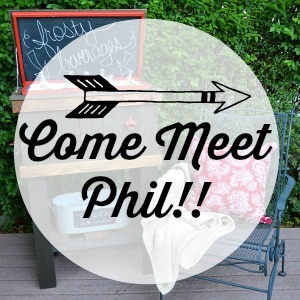 I am pinning these puppies, hey why not, we are on a roll, and besides these are AWESOME! So elegant & beautiful. 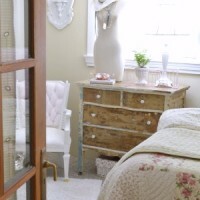 I love repurposing projects, especially when they turn out this stunning. I’m so pinning this! 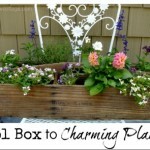 Love this upcycling project!! Pinning this one! 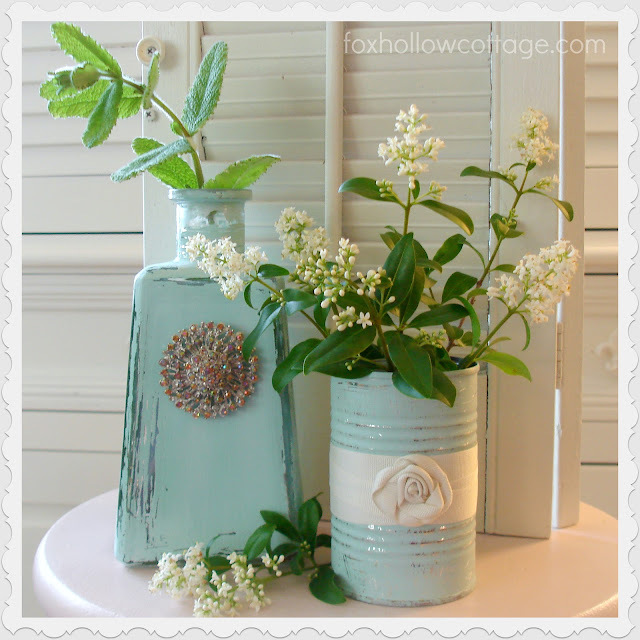 It's a Glass Bottle and Tin Can Repurpose Project! 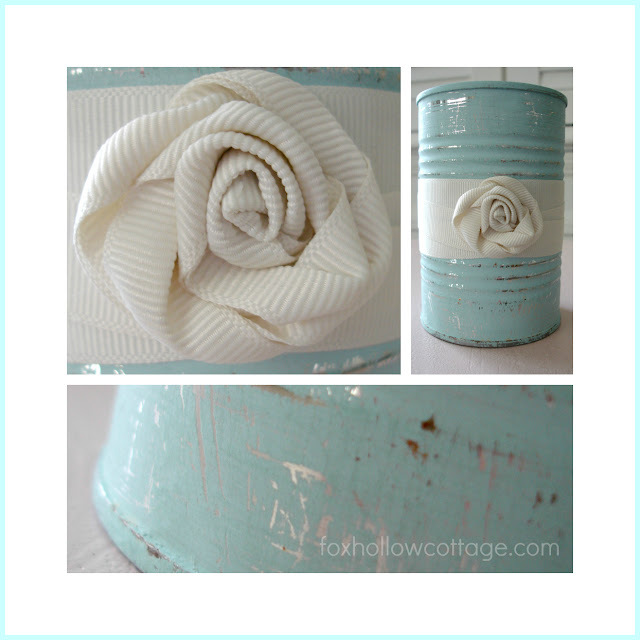 Join me at Fox Hollow Cottage and let's make our recyclables cute together!